Features lots of loveable Minions! 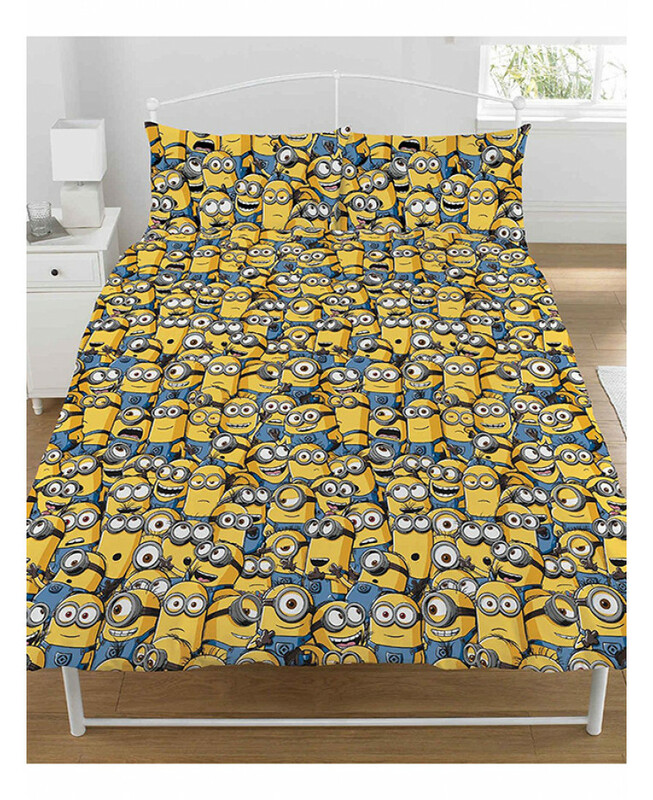 This fun Despicable Me Minions double duvet cover set is a must for any fans of the films. 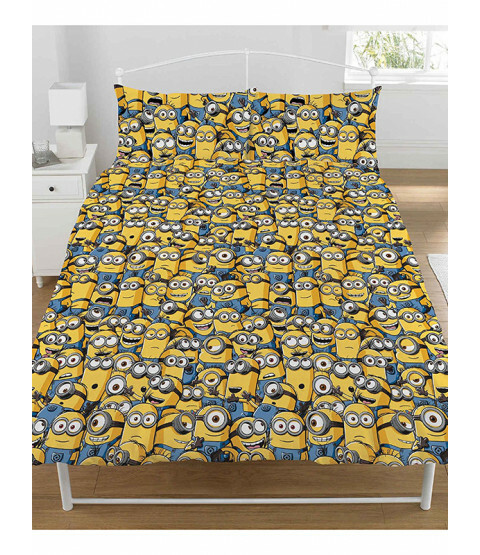 The design features lots of loveable Minions crowded together in a repeated pattern across the whole duvet cover and both pillowcases. Made from a polycotton blend, this bedding set is machine washable and can be tumble dried on a low setting.